Submitted by lynn on Wednesday, September 19, 2018 - 8:50pm. A heatwave hit our area one summer weekend and A/C suddenly became a deciding factor in where to eat! We had tried Fish District for lunch and this time caught their daily happy hour. Between 2-5pm, they offered $1 off classics, TKO tacos, and beers. We typically prefer sitting outside but settled ourselves into a booth indoors to avoid melting in the sun! The dining area contained bar height tables with a few booths lining the outer wall. The TKO tacos came with four seafood options and three styles. The protein options were local catch, cod, shrimp or steak with a choice of traditional (lettuce, etc), coastal (mango salsa) and baja (cabbage). 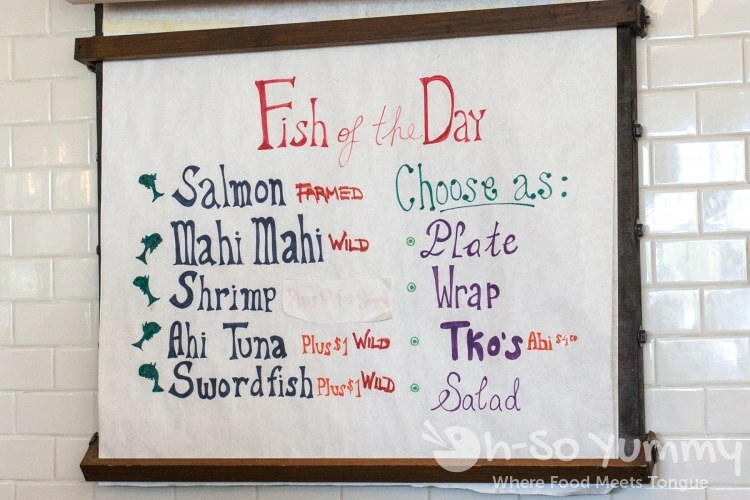 The local catch was displayed on the wall behind the ordering counter. The raw tuna had a gently seared edge with a hardy portion. I loved the color splash of mango and tomato from the coastal style. Together, this was a bit messy to eat! The red cabbage also left a bit of a rouge tinted liquid as we ate through this taco. I'm unsure if the taco would be more favorable in another style so maybe next visit? 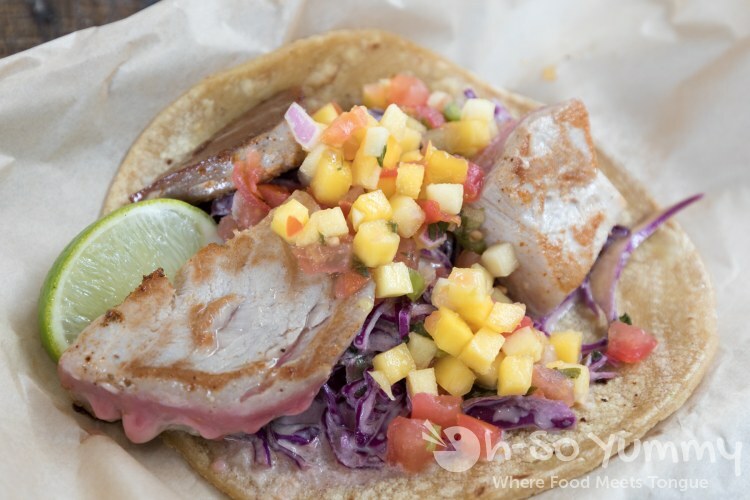 This TKO taco was a solid seafood pick for us. 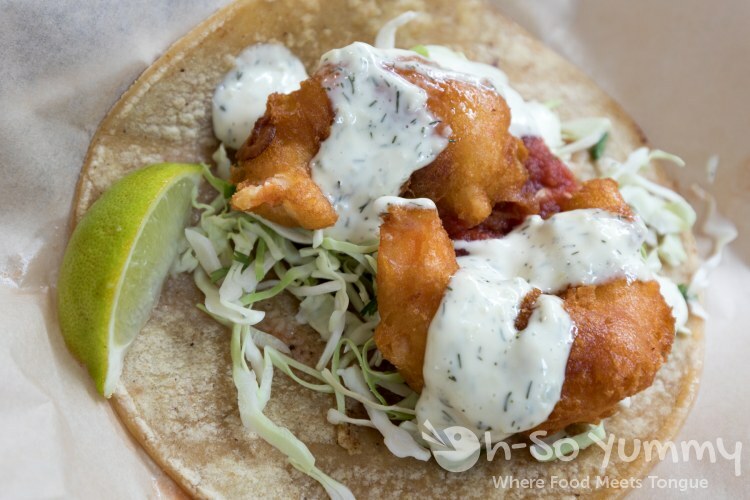 We loved the crunchy fried breading of the larger shrimp plus the baja style was the perfect fit of thinly shredded cabbage and sauce. There weren't extraneous ingredients to complicate the taste and we'd definitely order this one again. 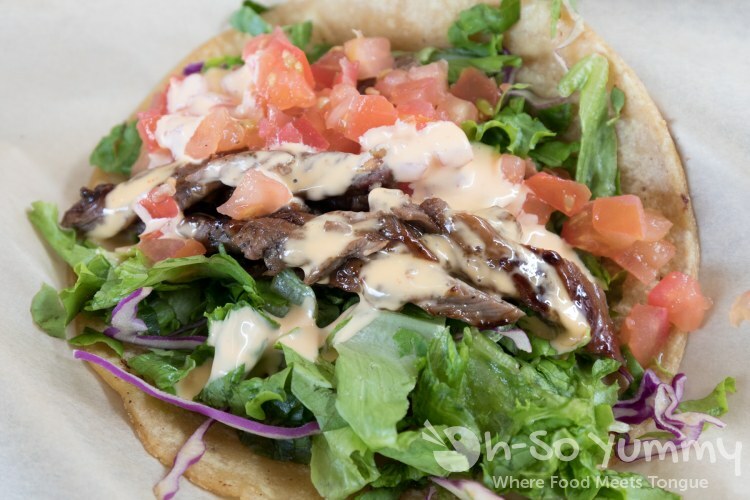 Surprisingly, the steak taco was another winner at this FISH place! The traditional style totally worked, despite looking a bit salad-like! The steak had a sweet meatiness to it, was well seasoned, and the proportions were right. We ended up ordering a second taco to feed the little brother. The fish and chips had positive reviews online so it was time for us to give it a try! With a party of three, we chose the 3 piece version for $12.95 (two pieces was $10.95). Appearance-wise, these were thick fish sticks on steroids plated on a shareable bed of fries. This was another worthwhile pick with the beautiful crunch of the batter, the overall non-oily feel, plus the moist cod inside.The seasoning was light and there was a smooth tartar sauce for dipping. The side of fries were perfectly fried in my favorite style, slightly thicker but a golden crust that held up well. 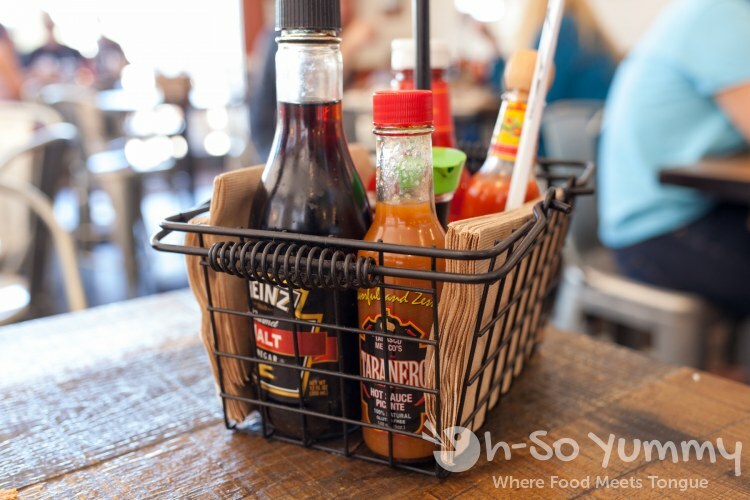 Feel free to use the basket of condiments to dress up your meal as needed. I've never been one to use the vinegar on fish but do what you will! 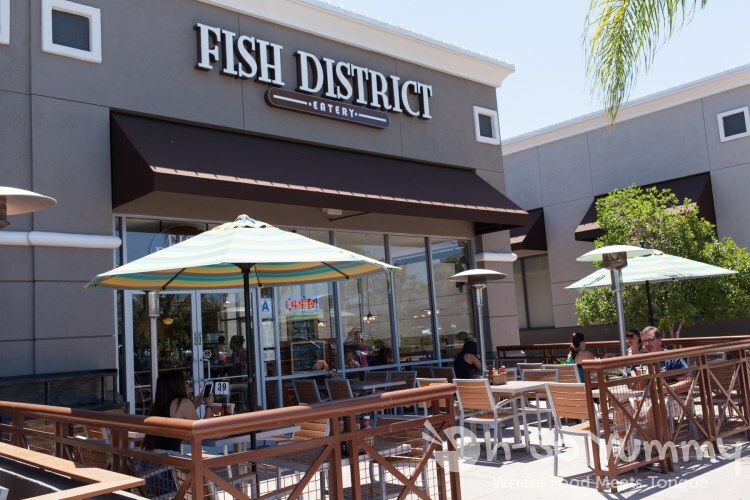 Fish District has five locations in SoCal including one in Carmel Mountain, Solana Beach, and Carlsbad. I quite enjoyed the tacos so it has potential to become my new Taco Tuesday spot! I'd love to try more of their menu in the future! Do it! And save me some of the melt we tried the first time. Good looking fish and chips! I had some at Chef John's yesterday. Who is Chef John? Maybe something you've written about recently? My sis and I love this place. 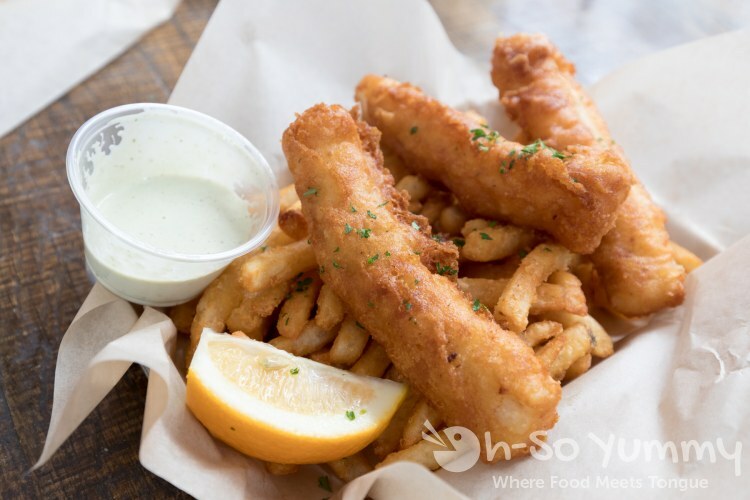 We think their fish n chips are pretty awesome (I sub the chips for the sauteed veggies which are delicious too!). Also, the poke bowls are quite good too. Do you use malt vinegar on anything? Hmm, I'm not too big on strong vinegar taste so most likely no! They used malt vinegar on the fries at Waterbar in PB if you ever decided to check it out. I also had the poke bowl on our first visit but didn't include it here because I can't remember how it tasted.